Clean the dried prawns by removing its head and tail. Wash it in water and drain well. Heat a pan and dry roast the dried prawns for 3-5 minutes in medium flame. Keep it aside. Heat 1 tsp oil in the pan and add shallots and dry red chillies and fry for 2 minutes. 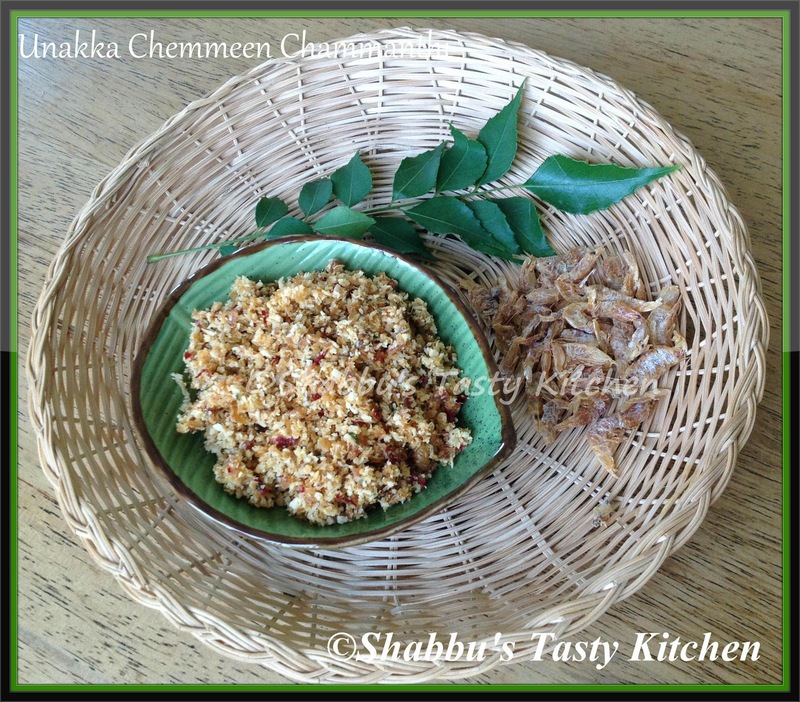 Grind the roasted dried prawns, shallots, dry red chillies, grated coconut, curry leaves, tamarind and salt together to a coarse mixture without adding water. Wow...different type of chutney...mommy usually makes sambal and fry vegetables with unakka chemmeen..
Are wah!! this is perfect with kanji...Luv it dear. Beautiful clicks. i love dried prawns.. lovely preparation..
How many days will it last for, if kept in the fridge? It should generally last upto 2 weeks if kept in an air tight container in the fridge..